Welcome to Car Keys New York, a premier automotive security and locksmith specialists. We provide an array of services from replacement car keys, Smart Keys, Fobs and remotes, to regaining entry into vehicles, and creating brand new keys even in situations where all your keys were lost. All our locksmiths are licensed with New York City’s Department of Consumer Affairs and are bonded and insured. Locked out of your car? Lost your car keys? No Worries! We are a mobile locksmith company and our locksmiths will come to you, saving you time, aggravation and expensive towing fees! Best of all, our prices are competitive. Call now for a quote (917) 475-0707. Nearly all cars manufactured from 1996 and onward have security features built in to prevent vehicle theft. These features include a “transponder chip” embedded inside your car key, so that not just any key can start your vehicle. Loosing these keys will render your vehicle unusable and you may be stranded, leaving you with the expensive choice of having your car towed to a dealership in order to have those keys replaced. Our locksmiths will come to you and replace your keys on the spot, creating the new key and programming it into your car, saving you lots of time and even more money! Newer cars introduced new features which enable cars to be started at the push of a button, never needing to remove the key from your pocket. These are often referred to as “smart keys” or simply “key fob” and can be extremely expensive to replace. Once again, our locksmiths carry a wide array of these fobs in stock so that no matter the time or place, we can come out to you, replace that missing key and have you on your way in no time at all! Did your key get stuck in the ignition? Will the ignition not turn? Is the door lock stuck? As cars get older the locks and keys get worn out, and sometimes stopping to work at the most inconveniencing times. At the gas station, while out shopping or heading home after a long day’s work. 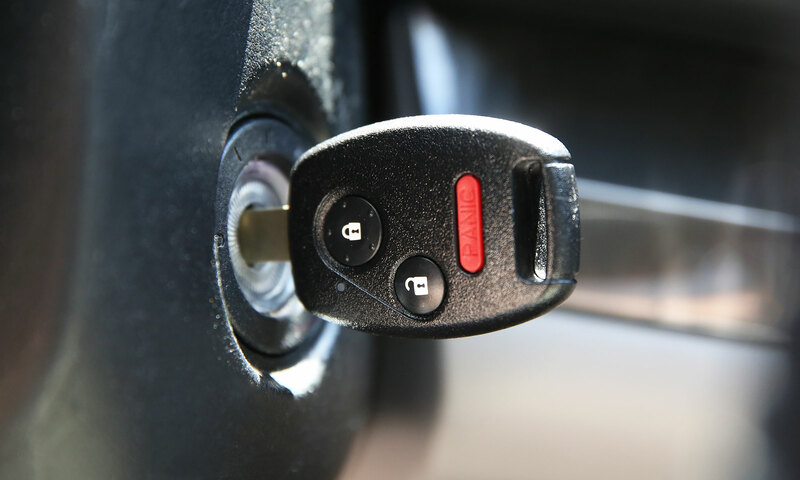 We can repair virtually all locks and replace any car key on the spot! Loading groceries into your trunk, you put your keys down for just a second before closing the lid when you suddenly realize that you left your keys in there. What do you do now? Your second set of keys is back at home and you’re over a half an hour away! Our locksmiths are equipped with all the tools necessary to regain entry into your car and retrieve your keys without any damage. Contact us now at (917) 475-0707 to get a free quote and schedule an appointment.